I was reluctant at first, but Twitter has become my go-to social media platform. (If you haven't yet, follow me now.) Unlike some other social media sites, posts made on Twitter (aka "tweets") are immediately live for all your followers. There's no need to build up likes and comments in the hopes that people who already follow you might see your post in their news feed. The downside is that after a tweet is made, it falls further and further down the update list as more and more tweets come in. Herein lies the real power of Twitter: the hashtag. A hashtag is a keyword preceded by the # symbol that can be used to categorize a tweet and make it easier to find. By clicking on a hashtag in Twitter, someone can immediately search for all the other tweets out there tagged with the same keyword. For example, if you want to keep up to date on a particular subject (like beer), you can use a social media management tool such as TweetDeck or HootSuite to monitor that hashtag. Or, if you're a blogger like me, sharing your post on Twitter with the appropriate hashtag makes it infinitely easier for people to find your content. The hashtag has become such an important part of social media marketing that hashtags are now part of all the major social media channels: Facebook, Google+, Instagram, and Vine, to name a few. 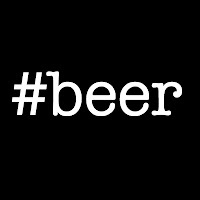 Now, Twitter-ers in your area may not be using a CityBeer or StateBeer hashtag, and that's ok -- you can start the trend! One final word on hashtags: Try not to get spammy with your hashtags. 2-3 hashtags in a tweet is generally an appropriate amount. 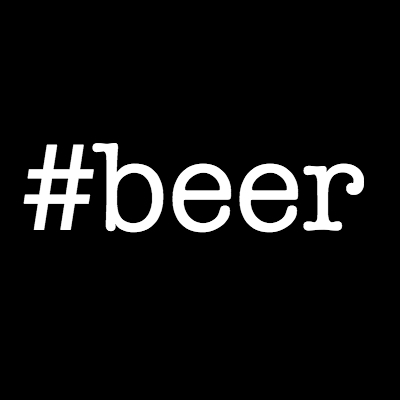 So, what hashtags and social media tools do you use to keep tabs on the beer business? Share them in the comments below! Need something to tweet? Tweet this post! Thanks for filling us in on the UK, Sam! I've also been known to drink and tweet! I hear #realale is another popular hashtag on your side of the water. Also there is that beer program/phone app #untppd that beer people use. And I tend to add in the bar I'm drinking in 'Having a nice #craftbeer @frankiestaps'. This lets other people see where you drink. Good call! Tagging other accounts with the @ symbol is really important, b/c is lets other people know you're talking about them. Then they may just give you a retweet! Thanks for sharing, and good work on your site! Thanks for adding us to your blog roll. Much appreciated.